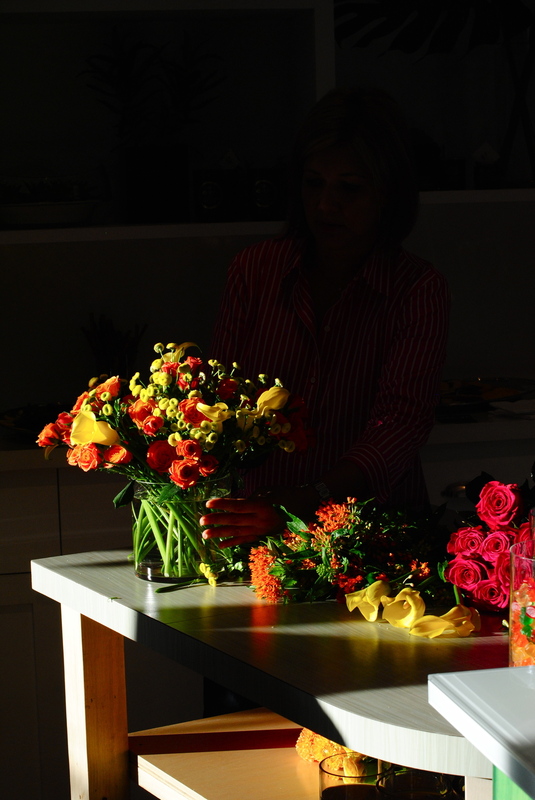 so my sister and i decided to take a flower arranging class because...well, why not?! it included some prosecco, a few hors d'oeuvres and some brightly colored roses, hydrangeas and one of my new favorites, veronica flowers. 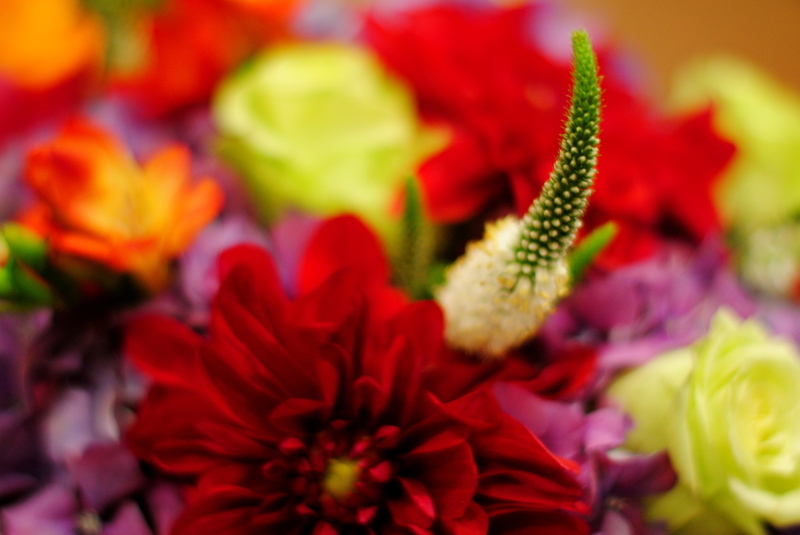 angelica, the lovely florist, has had her flower shop in the west village for over 11 years. with tiffany & co, cartier, martha stewart living and more clients under her belt, she knows a thing or two about flowers. it was a great learning experience and i had flowers for my room for a week! a win-win.